As a Talmudist at the Jewish Theological Seminary of America, I have long been accustomed to fantastical tales about the discovery of ancient manuscripts of the Babylonian Talmud. That famous picture of Schechter in the Geniza hangs everywhere in our halls. We are taught from the beginning not only to read Raphael Nathan Rabinovitch’s Dikdukei Soferim, but to imagine him on some Sunday morning in Rome, unlocking the Vatican Apostolic Library with his own set of keys, sitting down to transcribe Vatican 109 by candlelight. We hear of our own Haim Zalman Dimitrovsky, who supervised the doctorates of so many of our own teachers (Shamma Friedman, Mayer Rabinowitz, Joel Roth, and Burton L. Visotzky among countless others), roaming the monasteries of Italy, excato knife in hand, no binding safe from the search for more Seridei Bavli. And yet, we are accustomed to thinking that the time for these kinds of monumental discoveries, of even a few leaves of a Tractate stuffed into the binding of a 16th century print, has long past, and that only European libraries and monasteries might hold more finds. You can imagine my surprise when I found myself staring at an image in a Facebook message of what looked to my own eyes as an early European manuscript of the Bavli, apparently having formed the cover of a book of Church Music published in Prague in 1604, now housed in Fales Library at New York University. A young scholar of musicology, Sam Zerin, who happens to be married to a former student of mine, Rachel Dudley Zerin, is pursuing a doctorate under Professor Stanley Boorman at NYU. Dr. Boorman, with his students, is now working on this collection, comprising about a dozen volumes, all of which are bound in Vellum manuscripts, mostly Latin music texts. Yet three volumes are bound in parchment from a single manuscript in a language Dr. Boorman didn’t read. Sam, his student, immediately recognized the script as Hebrew, and offered to ask his wife Rachel if she knew anyone at JTS who might be able to identify the text. Having been subjected to my (in)famous synopses in a class she took with me on Aggadah in Seder Nashim some years ago, Rachel had Sam send me some pictures of these bindings. When I saw the first picture, it became clear that this might actually be a major discovery. The topic was Temura (הוא לה’ קריבה ואין תמורתו לה’ קריבה) and featured a dispute between Rava and Abaye, meaning that what I was looking at was either the Babylonian Talmud or some text which quoted or paraphrased it. Some brief searching in the Bar Ilan Responsa database led me to assume that this might be a section of Yalkut Shimoni‘s version of Temura 3b, which more closely matched this MS than did the printed texts of the Bavli, yet searching in the Lieberman database of Talmudic manuscripts revealed that indeed this was a manuscript of Temura. At this point I called Professor Neil Danzig and sent him the pictures. The questions were broad: might this text hold the key to resolving the dispute between Y.N. Epstein and E.S. Rosenthal on the relative age and provenance of the “Lishna Aharina” sections of Temura? 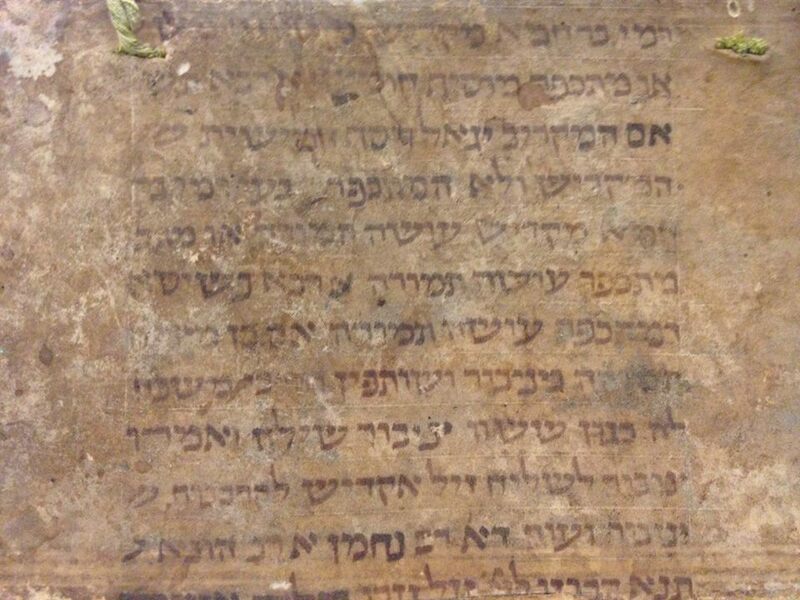 How does this version of Temura compare to the fragments of this chapter found in the Geniza? Neither of us slept. I spent the night immersed in Temura. When we spoke in the morning, we were both convinced that the covers from these three books were fashioned from a single manuscript of (or at least the first chapter of) Temura, written somewhere in Europe in the 12th or 13th century. Professor Danzing noted three features which pointed to an early date and “Proto-Ashkenazi” provenance for this text. First, the divine name is represented by three and not two letters “yod.” Second, the manuscript shows clear signs of striation. Third, the letters, “gimel” are elongated. We made an appointment to visit Dr. Boorman and these books at Fales Library. A picture of one of the fragments. The meeting between Drs. Boorman and Danzig was a beautiful example of everything that is right in the academy. Two scholars whose fields almost never overlap were brought together by a single artifact. Each scholar was able to explain in detail various but not overlapping aspects of this object, and each was able to convince the other of the worth of this object for his respective field. It was Professor Boorman who made the case to the conservator on duty that the bindings really needed to be opened, that the worth of this text to our field was worth potentially damaging his book. Needless to say, I plan on transcribing this fragment in the coming months, comparing its readings to all the extant witnesses of the tractate as well as other variants recorded in the Shita Mequbetzet, and related works, with the aim of publishing an article on the fragment and its textual tradition. In the meantime, if any of the readers of the blog have any insights or thoughts about how to proceed, or know of any witnesses to Temura not listed in the Sussman catalog, I would love to hear about them. Noah B. Bickart is an an adjunct instructor in Talmud & Rabbinics at JTS where he also serves as the Principal of the Rebecca and Israel Ivry Prozdor High School Program and is completing a PhD on scholastic terminology in the Babylonian Talmud and parallels to Syriac Christian literature. The Talmud Blog- Now in Hebrew! In case you haven’t noticed, the Talmud Blog has undergone some changes over the last couple of weeks. We’ve updated our look, reorganized things a bit, and prepared the site for Hebrew posts. Like all virtual artifacts, the blog is ‘located’ in The Cloud. But most of the humans who work on the blog are based in Jerusalem. 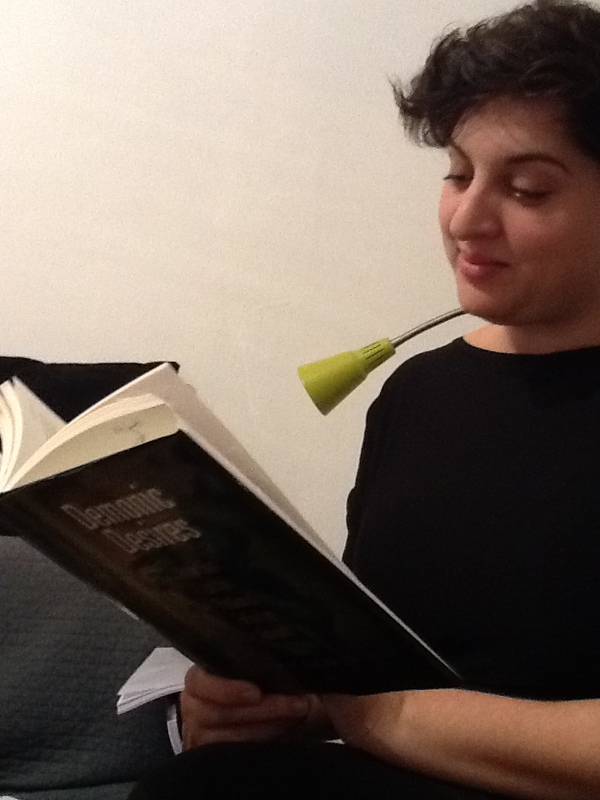 We also have a considerable readership in Israel, even if most of our audience lives in the United States. So the time has come, as we enter our fourth year of collective web-logging, to post in Hebrew as well. You will be able to access these on the top right tab “פוסטים בעברית“. Yakov Z. Mayer, a doctoral student at Tel-Aviv University, will be editing our Hebrew content. That said, given the internationalism we aspire to, the main language will remain English, which like it or not has overtaken Latin as the language of science and letters. We should add that potential submissions in Hebrew, English are very much welcome. It has been some time since the Talmud Blog community – at least its Eastern branch – has gotten together for a live event. So we are particularly excited to announce the fourth ‘Talmud Blog Live’ gathering, which will be held in Jerusalem at the end of June. We look forward to hosting two rising academic stars from neighboring disciplines who will participate in a conversation that introduces ‘their’ texts and methods to Talmudists. The discussion will also considers intersections between different Sasanian – and disciplinary – communities. Mark you calendars, RSVP via our facebook page, and spread the word. We look forward to seeing you! A Text-based Conversation with Iranist Yuhan Vevaina (Stanford) and Mandaic Scholar Charles Häberl (Rutgers). Facilitated by Shai Secunda (Hebrew University). The event will take place on Thursday, June 27, 2013 at 17:00 in Rabin Building 2001 on Hebrew University’s Mount Scopus campus. This evening is generously sponsored by the Martin Buber Society of Fellows, is geared towards Talmudists and is held in conjunction with the Hebrew University Talmud Department. The international meeting of the Society of Biblical Literature will be held next week (July 22-26) in Amsterdam. As always, many sessions will be devoted to rabbinic literature; most notably this year are two multi-session units that will focus on (1) the Tanhuma midrashim and (2) on the dynamics between verse and prose in late antique Jewish and Christian texts. In addition, a session of the Judaica unit will be devoted to Midrash. So if you are heading to Amsterdam, prepare yourselves for a feast of five days of rigorous discussions of rabbinic literature in different contexts and settings. If you’re not, at least you’ll know what you’re missing! Full details concerning the sessions and the papers (including abstracts) can be found here. 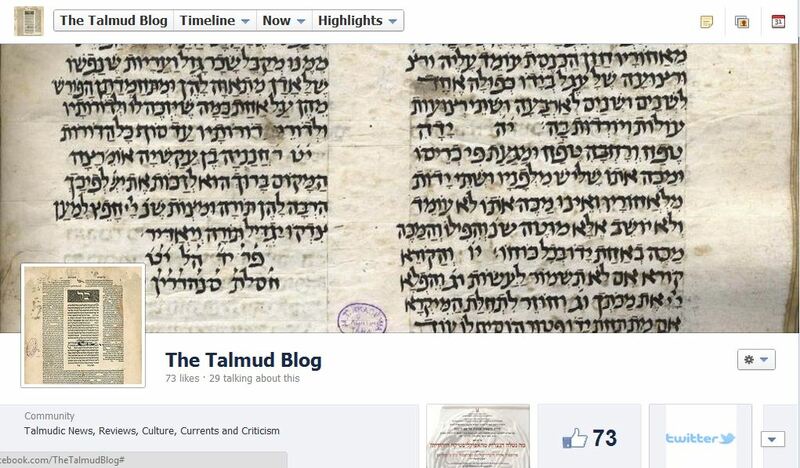 A few weeks ago, we created a Facebook page for the Talmud blog. Our hope is that we can use the page in order to keep our readers up-to-date on Talmudic goings-on that might not merit blog posts. We would also like the page to serve as a forum for discussion, although we ask that you try to keep comments on ‘proper’ blog posts to the “comments” section located on the blog itself. Those who don’t have Facebook can follow what’s going on via the widget located on the blog’s right sidebar. But if you do have Facebook (and if you haven’t done so already) why don’t you go right on over to the “like” button on the sidebar, and click! We’ll see you on the Facebook page soon! As announced a few weeks ago, starting February 6th we’ll be discussing Zvi Septimus’ article “Trigger Words and Simultexts: The Experience of Reading the Bavli,” in Barry Scott Wimpfheimer, ed. Wisdom of Bat Sheva: In Memory of Beth Samuels (Jersey City, NJ: Ktav, 2009). Thanks to Barry, Zvi and other friends of The Talmud Blog, we’ve been able to make a PDF of the article available here for anyone who wishes to take part in the discussion. Our two main respondents will be Dr. Dina Stein of Haifa University and Itay Marienberg-Milikowsky, who is a PhD candidate in Ben Gurion University’s Department of Hebrew Literature. With the article now easily accessible online, we hope that you will respond as well. A little over a month ago we announced the first session of our “Book Club”. While I’m sure many of our readers are just waiting for the moment to share their thoughts on Ishay Rosen-Zvi’s Demonic Desires, over here in Israel the first copies have only recently reached the desks of Talmudists. For this, and other reasons, the discussion will not begin on December 15th as originally planned, but rather on January 2nd. While everyone who has read the book and has what to say is encouraged to share, we have a few people in line to respond already: Eva Kiesele, from the Free and Hebrew Universities; Amit Gvaryahu, from Hebrew U. and The Talmud Blog; and Raphael Magarik, who has already reviewed the book for Jewish Ideas Daily. Other tentative respondents include Simcha Gross from Yale University and Noah Greenfield from UC Berkeley. Shai will be MC’ing the discussion, and we’re hoping that the the author himself will respond once it finally winds down. And of course you, dear reader, are invited to weigh in as well.